FX Viper is good trader he make money and trade investors money. If you trade small lots size you dont need stop loss. Open loss is same like hard stop loss. If market kick you 5-10x time you lost money too (with 2% risk per trade = 10 – 20% hard DD). But open loss is possible close to BE or in profit ..of course in future. 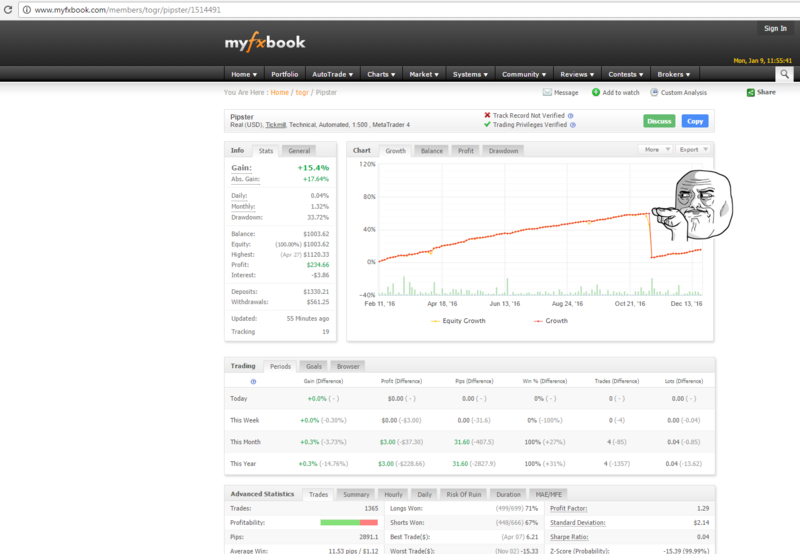 Viper is good example he make 117% profit and maximal DD he has only 13% on this account = very good Risk Reward Ratio. You have only 1:1 but if your system fails you lost money because is technical system. This is not edge every entry is same. Chance to win or loose is always 50% specially on Forex market. You open few trades in year…you have just luck. Why you have hidden balances and trade size ?? 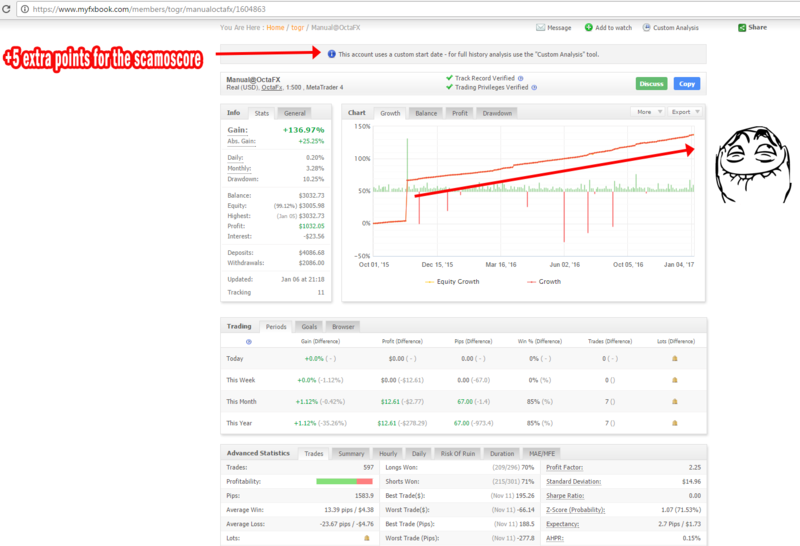 I quess you have 100 $ on trading account and try sell forex signals ? But thanks for avoiding doing such statements when you absolutely don’t know what you’re talking about. By saying “Open loss is same like hard stop loss”, you obviously don’t know the meaning of “stop loss”. Not accepting a loss is the first and easiest psychological bias to fight against. The ABC. My little finger tells me that FX Viper is not very involved in the serious institutional world. There is a reason. In this kind of environment, you can’t trade without stoploss and you can’t risk the amount of money you want per trade. The ABC. And yet, I honestly wish him success. And maybe he’s a rare trader able to master the art of hedging ? I recommend you to read this book. Thus, you’ll see what is the concept of “expectancy” and you can use this opportunity to learn the definition of “edge” (I don’t even speak about the notion of “risk of ruin”). About my balance, if you are able to access and browse the internet in order to comment on my website, you should be able to see it. 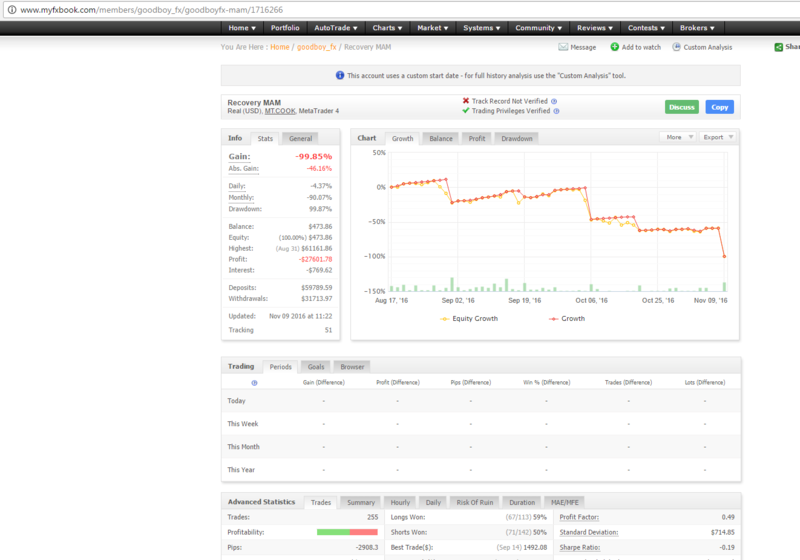 I give you another homework : trade a system successfully for 2-3 years without using stoplosses (it’s not so hard) and ask institutional hedge funds if they are interested in your system. But maybe are you a scam-o-master ? PS : my website is not here to sell signals to the retail market (there is voluntarily no information about it on my website). Why you deleted my comment ? With link to sell your signal ? 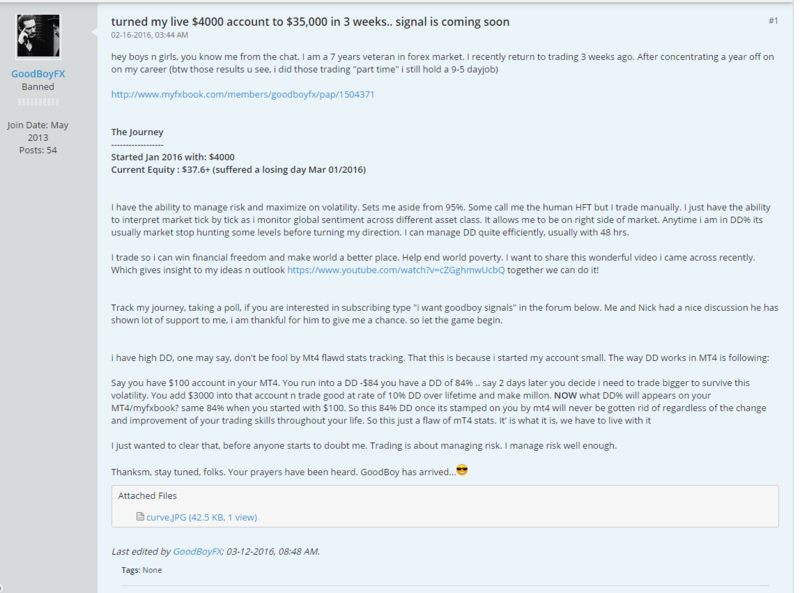 As I explained to you the reason by email I sent you few days ago, I don’t want to promote my signals/funds here. This is not the place. This website is not there to sell something, just to tell. I don’t want advertisement. Ok sorry for advertisement, i read email now. 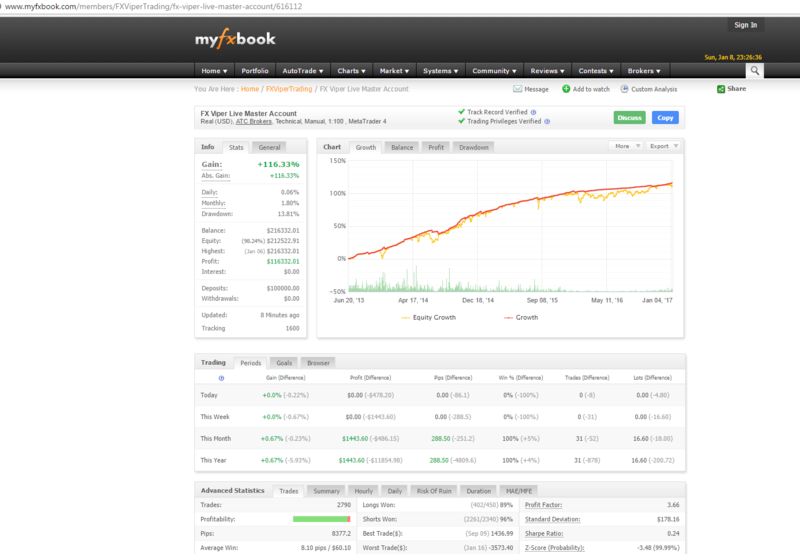 You could also add spikes of lots on the graph (on myfxbook “More–>Lots”) to scamometer. It represents grid/martingale in most cases. By the way, FX Viper made only 5% during last year (calculated by equity) with 8.5% drawdown. Together with the heavy use of grid, low average profit/average loss, high percentage of winning trades and with no SL used this makes scamometer’s explosion worth to be seen in Michael Bay’s movies. It’s interesting that some are referring to his popularity to prove him worth investing. Millions of flies can’t be wrong!